The giant of technology products, Apple, the second largest company in the world benefits, says economic losses in Spain. The appeal of this story is that the red counts the same year in the record-breaking sales in the market of our country, the past 2012. The negative has to do with how the company invoice to avoid paying sales tax only in our country, engineering practices that allow you to pay tax only 1.9% tax on the profit achieved outside United States and developed countries are trying to fight at all costs which substantially decrease the benefit of the Cupertino company as the guarantee program, Apple Care , harshly criticized for its products in Europe. Just use tax practice in our country multinationals like Google, Starbucks, and the familiar case of evading taxes Zara online store relocating to Ireland. Apple operates through two main subsidiaries in Spain, one of them is Apple Marketing Iberia, which acts as a commission for the services of marketing and sales support for Apple's other businesses, which account mainly from Ireland sales to third parties the Spanish market. The other is Apple Retail UK subsidiary, which manages the group's retail network in Spain, the Apple Store, which with low benefits can not absorb the costs of rental of premises and staff salaries, as the margin between cost and price end, PVP, is very narrow. Do you think that we will emerge from all this will be harmed consumers with the final price of a product? 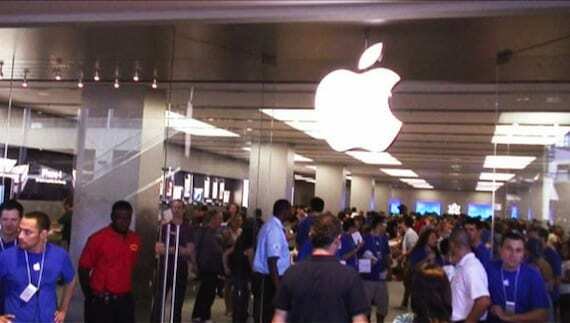 Article Apple declares economic losses in Spain has been originally published in News iPhone .